Drive efficiency, reuse, and lower maintenance costs across projects. Use Silk Central’s ability to share tests across projects, along with associated links to requirements. Silk Central 19.0 offers accessibility needs for visually impaired users through enhanced navigation. This allows the use of the keyboard and facilitates audible feedback through screen readers with support for NVDA and JAWS. 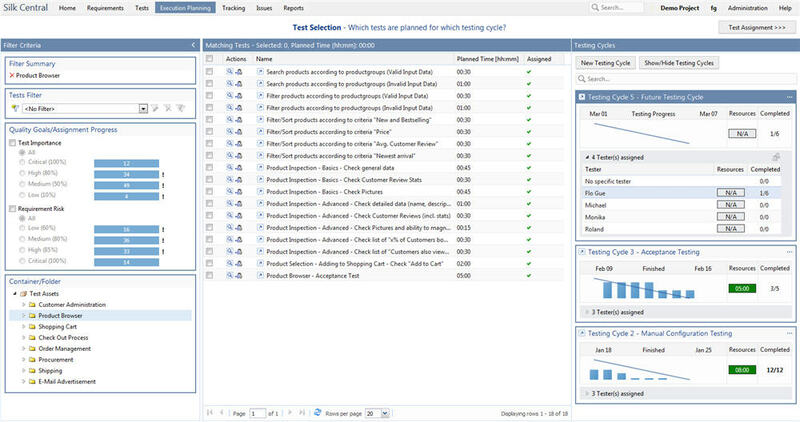 Extend your ability to integrate with existing test execution tooling eco-systems, i.e., external test frameworks, for result analysis purposes. Ensure that your team has easy access to the information they need using status reports. You can determine how frequently metrics and analytics are updated as well as how the information is presented. Teams can now create automated tests without having to write a single line of code. Tests can also be created even if the application is not yet built. Facilitate teams to perform manual mobile testing against both physical and virtual devices direct in your environment direct from Silk Central®. 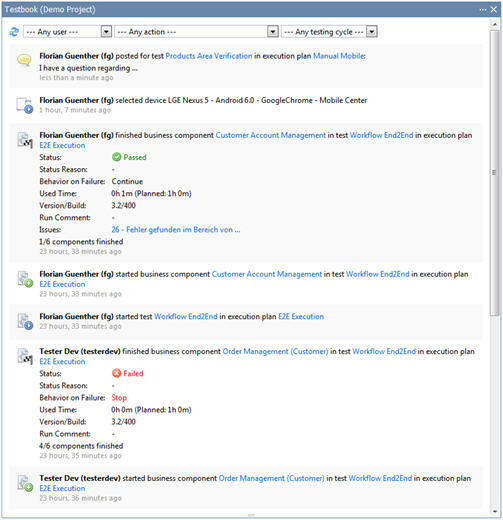 Further, extend your mobile solution with integration to Mobile Center and SauceLabs. 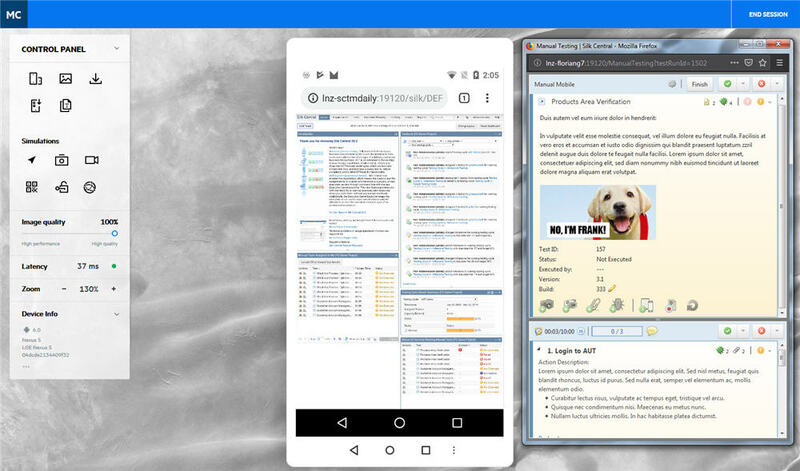 The new integration allows execution of your automated functional tests on mobile devices. It also facilitates Silk Test® to create and execute against mobile devices. 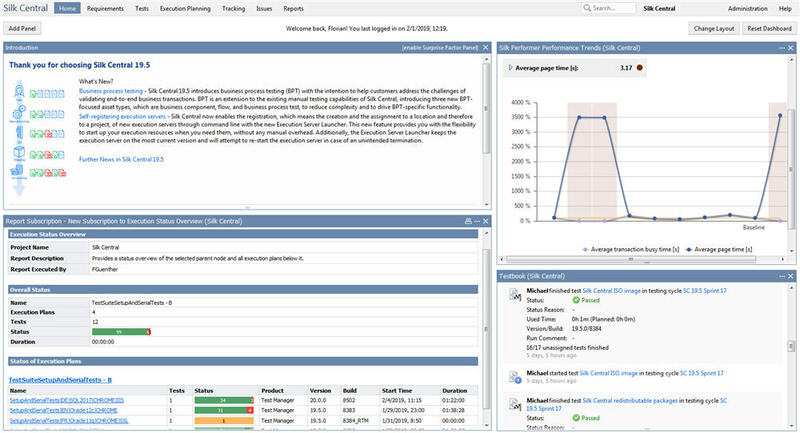 Silk Central introduces greater resource efficiency around parallel execution by allowing you to execute a single test plan across multiple test execution servers within your environment. 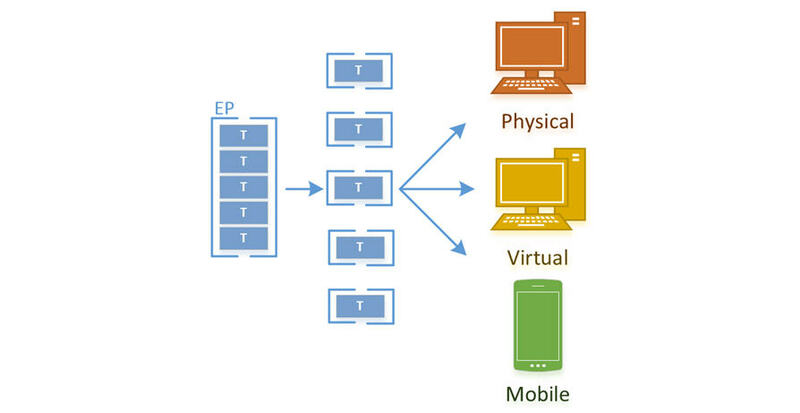 Use the inbuilt device lab capabilities for access to a centralized pool of mobile devices within your environment, or connect to Micro Focus Mobile Center. 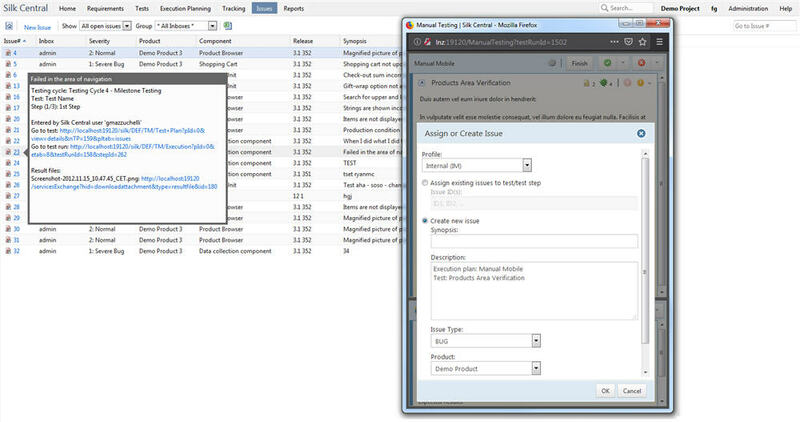 Use the in-built issues tracking capabilities of Silk Central to raise, track, and manage issues against test assets while following a defined workflow relevant to your organization. Execute a single script across multiple browsers. Gain detailed reporting and full visual insight into the progress across execution. Requires installation of Silk4J. Silk Central’s custom integrations developed through the open API enable extensions for requirements, source control, automation, virtualization, and issue management tools. Facilitate collaboration with real-time visibility, communication, and updates from the test team. Test teams can share feedback and progress in real-time by posting comments as they test, directly to TestBook. Silk Central measures quality goal progress as well as summarizes which tests are needed to satisfy your quality goals and how long they will take. This not only helps gain insight into test progress but also to manage resources and effort accordingly. Keep business costs in check with access to Silk Central reports without the need to login or obtain licenses. For clear visibility on your program portal, publish reports to personal dashboards via email or externally facing URL. Use Silk Central to define what to test, when to test, and who will test. Choose ad-hoc tests to include in your test plan, tests not yet executed, or tests that have defined quality goals. Teams can now create automated tests without having to write a single line of code, by combining keywords. Tests can also be created even if the application is not yet built. Keywords can be implemented with Selenium or Silk Test®. The business process testing capabilities in Silk Central support organizations validating end-to-end processes across different business units and provides the control, traceability, and results of end-to-end processes. Facilitate teams to perform manual mobile testing against both physical and virtual devices in your environment directly from Silk Central®. Control the testing of your end to end business processes as they transition between business units, define the hand-offs and transitions between business teams ensuring control and visibility at all stages. Use execution resources more flexibly without any UI overhead. Execution Server Launcher facilitates the download, start and register execution servers from Command Line. Increased flexibility and insight into test results with the ability to view manual test results in line with defect status.